With yesterday’s announcement of the proposed names for the periodic table’s four newest members, the periodic table of elements will soon have a completed seventh period. 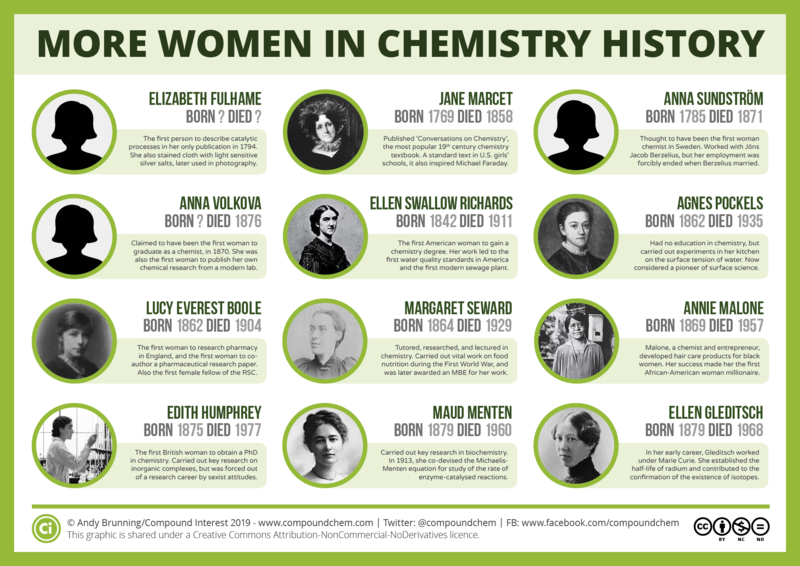 This graphic, featured in The Conversation, and produced in collaboration with Professor Mark Lorch of the University of Hull, takes a look at the origins of the names of all 118 elements! Because of these rules, public suggestions such as ‘lemmium’ and ‘elementy mcelementface’ were always going to miss out. 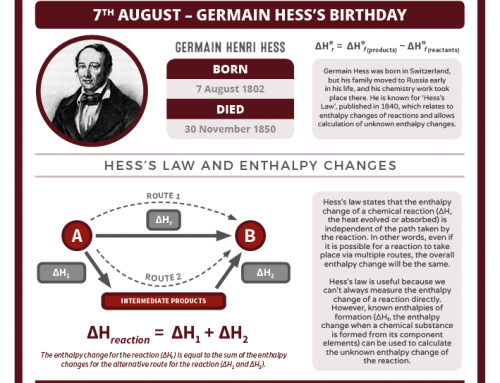 In addition, more recently established rules state that names suggested for new elements must follow the established convention for each particular group of elements. In other words, group 17 elements always end in -ine, group 18 elements always end in -on, and the rest must always end in -ium. 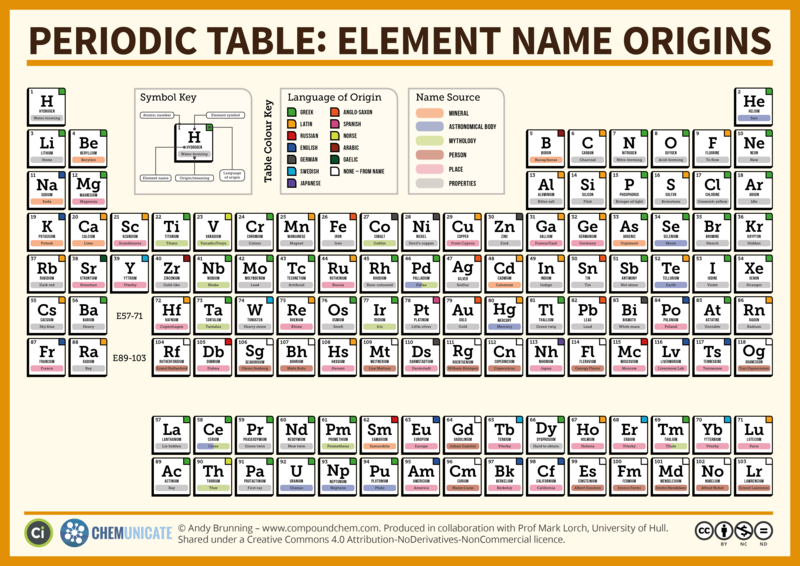 It’s clear looking at the table above that Greek and Latin dominate when it comes to the names of the elements. 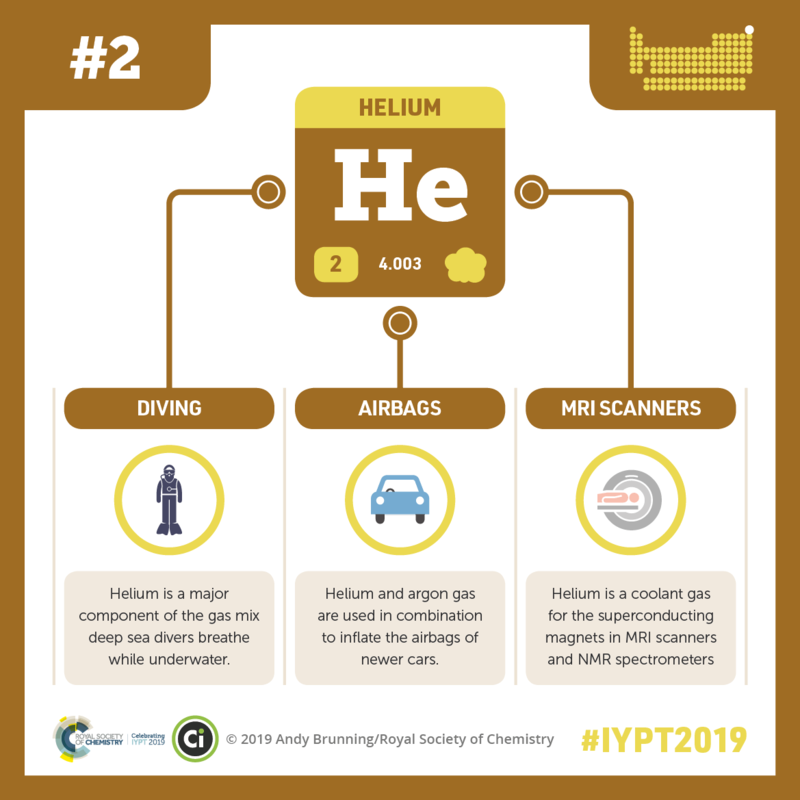 German and English also pop up with a few contributions, whereas a number of the more recently discovered superheavy elements simply take their names from people they are named after. Spanish might be the second most spoken language in the world, but only one element’s name (platinum) derives from it, putting it on a par with Gaelic, from which strontium’s name is derived, and Swedish (tungsten). One of the periodic table’s newest additions, nihonium (113) has also added Japanese to the languages from which element names are derived. Something else that becomes apparent when looking at this table is that there’s been a tendency for element names to be derived from either the names of people or places more recently. In fact, from element 95 (americium) onwards all the way to 118 (oganesson), there’s not a single element that isn’t named after a person or a city, country, or region. Some have criticised this trend as being a bit nationalistic and self-indulgent; Philip Ball poses the question, “Why not take the opportunity to awaken the imagination, rather than plant a flag?”. Though the researchers are the ones who’ve put in countless years of work to discover these four new elements, and doubtless have earned the right to suggest their names, it is perhaps a shame that there wasn’t a little more creativity in their suggestions. After all, there’s still the possibility of more subtly hinting at the origin of the work; take one of the suggestions for element 117, quercine. This derives from the Latin quercus for the oak genus, and hints at the Oak Ridge National laboratory where some of the work to discover the element was done. Other suggestions included amaterasium for element 113, after the Japanese goddess of the sun. It’s perhaps understandable though that the Japanese scientists wanted to name the element after their country, as it is the first time an Asian country has discovered an element. You can see a compilation of some of the other suggested element names here. As it is, there could still be changes to the new element names, as they’re subject to a period of public consultation for the next five months. However, the likelihood is that there will be few objections, and all of the other suggested names will become part of the huge collection of rejected names for elements. As a final note, in this graphic we’ve highlighted the English name origins for the different elements, but of course some of them have different symbols, and older original names. You can learn more about those here! 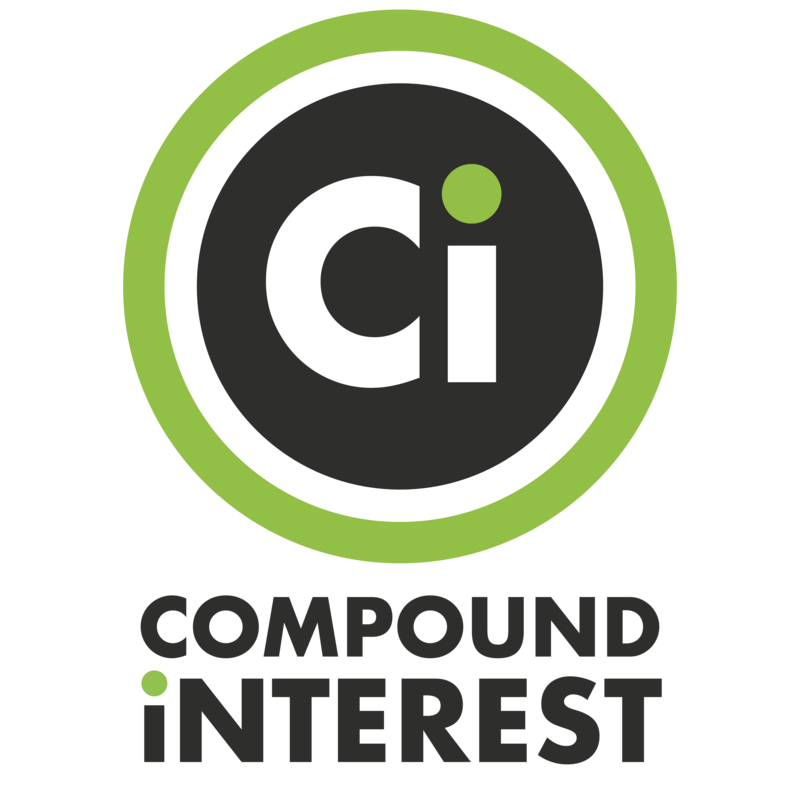 This graphic was created as part of Compound Interest’s ‘Chemunicate’ initiative, creating graphics for researchers, students and publishers to help the visualise chemistry research and ideas. Learn more about Chemunicate here. 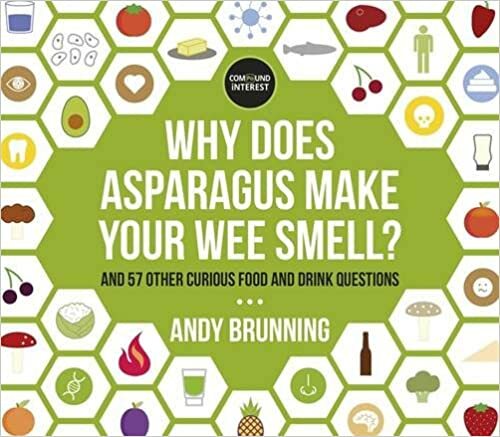 Research/information for this post was provided by Professor Mark Lorch of the University of Hull.